If You Don’t Think Gold IS a ‘Safe Haven’ Then You Don’t Know the Meaning of the Term! 2. Safe haven assets are therefore not necessarily safer stores of long term value, and never have been. That’s not the meaning of the term. BI editors should be aware of that. For example, the Canadian dollar is considered a risk asset and risk currency, yet it is a far safer store of value than the U.S. dollar due to its far more responsibly managed banking sector and fiscal/monetary policy. and that’s what’s happening now. Gold can rise due to fears of inflation from too much money chasing too few goods. Gold can fall if investor’s believe returns from risk assets will outpace inflation, and investors abandon gold (which has no steady yield) in search of higher returns. In other words, loss of purchasing power isn’t a concern because risk assets appear to offer inflation beating returns. 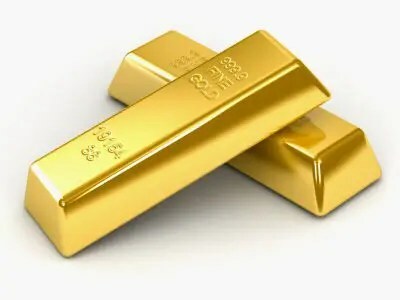 Gold can rise if the U.S. or EU engages in stimulus actions that are perceived as money printing and thus potentially inflationary, and both private and sovereign investors (like central banks) seek better stores of value than the USD or EUR. This has been the primary driver of higher gold prices in recent years. Gold can fall if the contraction brings very low inflation, deflation, or rising demand for cash as struggling investors need liquidity to cover margin calls from falling asset prices or to cover declines in income. This is the likely driver of the current downtrend in gold that began in September 2011, and would be the primary driver of a continued move lower if we see a sustained significant deterioration or economic collapse in the EU and/or China, Japan, or the U.S..
It’s quite clear that the EU will need to print euros just to buy time to prevent contagion [and this will cause the] euro to lose value, as the second most widely held currency. Once panic subsides, most likely due to new “stimulus/money printing”,… gold has an excellent chance of rising, barring massive central bank dumping. Gold’s recent liquidation is because the markets want cash over preservation of purchasing power and this is [no different than the] similar behavior at earlier stages of [the] EU crisis panic and when U.S. markets dove in late 2008-early 2009. Nothing more and nothing less. Previous GOLD Will Win Out Over the Current Concept of Money – Eventually!